Kraith is ST:ToS fan fiction involving a telepathic bonding between Kirk and Spock that is not "/". Start reading. This material is of interest to writing students of the WorldCrafters Guild , to Star Trek fans, folklorists, literary historians and researchers. Kraith stories and articles are posted here. In other Kraith related news develops: the appearance of Kraith and Jacqueline Lichtenberg in the docudrama film Trekkies Two. Ronald D. Moore, producer of Star Trek and Battlestar Galactica, writer on the TV series Roswell and other favorites, has commented on Kraith and Jacqueline Lichtenberg's other work. Some mentioning Jacqueline Lichtenberg's Interview Comments in this Documentary, which includes Kraith. Where have you heard that name, Kraith, before? Bantam Paperbacks? The New York Times? Who created the Kraith Universe premise? What is the Kraith Premise & what is the connection with Sime~Gen? Kraith Collected Volume One These are the first published stories in the Kraith Universe, collected from a broad scattering of very early Star Trek fanzines. Keep in mind that Kraith is Alternate Universe Star Trek. Literary analysts claim that the real hero of these Kraith stories is Vulcan itself. Jacqueline Lichtenberg sees it as the story of Spock's life and the impact that friendship with Kirk had on Spock and thus the history of the Federation. Had they not bridged that species gap in a telepathic bonding, the Klingons would have won. Kraith Collected Volume Two This volume contains an entire novel by Jacqueline Lichtenberg in the Kraith Universe. This is a good introduction to the Kraith universe for those not familiar with ST:ToS. See the detailed index to Kraith here. Kraith Collected Volume Three Over time about 50 writers and artists contributed to the Kraith saga. Click here to discover how many Collected volumes have been posted so far. You can now read all of volume 3 free online. Kraith Collected Volume Four You can now read all of Volume Four free online here. Each of these cover illustrations is a genuine Kraith. It has the mystical property of binding large groups of Vulcans into a telepathic unity for a time, provided it is used by a specially talented and trained Vulcan telepath. Kraith Collected Volume Five Alternate Universe Kraith. Kraith is an alternate universe to aired Star Trek. These stories are in alternate Kraith universes. Confused? Don't worry -- just read here and enjoy. Kraith Collected Volume Six Additional Kraith stories that appeared in various fanzines collected plus a more complete Kraith Chronology, organizing the stories into their internal chronological sequence. Index is here. Read free now. Kraith Dictionary Kraith originated and introduced many terms into ST fanfic that have become widespread. Find which of your favorites are Jacqueline Lichtenberg originals. Detailed index. Kraith Creator's Manual The 'bible' of the Kraith Universe to aid those who wish to write their own Kraith universe stories. Detailed index. Image manipulations from the scanned tif files to the presented jpg and gif files done by Eric Berlin. To get his price list, email ecjb122369 @ netscape.net (without the spaces of course). KC Vol. 1, html work done by Eric Foss. All KC volumes scanned, OCR'd and first-proofed by Ronnie Bob Whitaker, then proofed and readied for html presentation by Karen MacLeod. Web traffic generated at Webtraffic Genie. 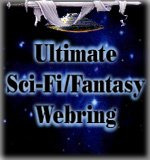 is owned by Kraith Collected - ST: ToS fanfic. Copyright � by Jacqueline Lichtenberg, 2004 or by author of the individual story.� Without limiting the rights under copyright reserved above, no part of this publication may be reproduced, stored in or introduced into a retrieval system, or transmitted, in any form, or by any means ( electronic, mechanical, photocopying, recording, or otherwise) without permission of the author and the owners of this website.